The Japanese yari (槍、やり), or spear, was not originally a dominant weapon of war. 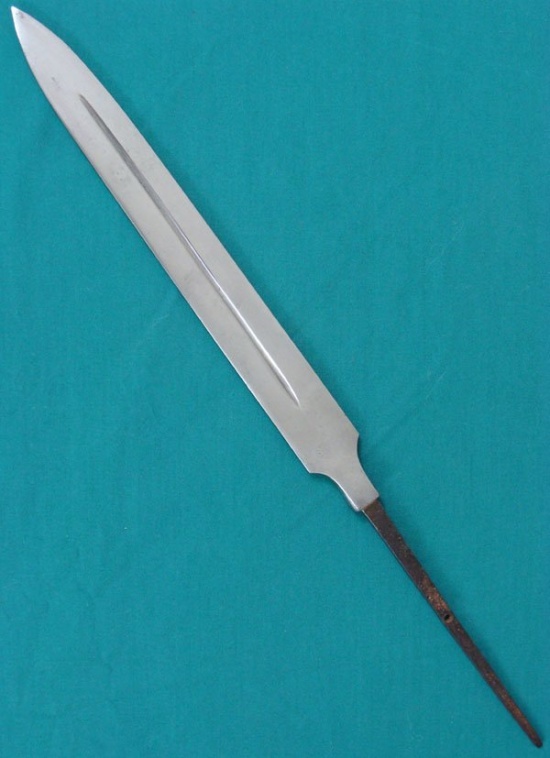 My own research into this issue should not be thought of as authoritative, but this post contains my impressions on this fundamental weapon that became an essential component of the battles of the Sengoku Jidai (戦国時代), or Warring States Period. So, no, the yari was not originally thought of as a weapon of choice by the samurai. Now, warfare became a nearly exclusive samurai affair for centuries, with exceptions such as the Sohei being mostly a sideshow. Samurai did use spears, but that was because swords were the easiest weapon to carry and an ideal last resort, with bows coming first. Spears were also used by non-samurai retainers of the elite and gave them a practical way to defend a man on a horse. Samurai would later come to favor the yari as highly suitable for mass combat. In addition, the 14th century saw the rise of a new kind of warrior that made the yari its staple prior to the introduction of firearms, at which point the two would be used in tandem. I believe that the decisive reason for the shift to the yari is a matter of logistics more than technology. After all, the technology behind the yari cannot possibly have been new. Rather, warlords came to see the yari, used in packed formations, as superior to, and more decisive than, a bunch of samurai using swords (and this would be usually after their archery was no longer viable; think of samurai like multirole combat fighters in their day). Now, it’s obvious why the forward thrusting spear is useful in tight formations; the Greeks and Romans established that long before the Swiss pikemen were thwarting cavalry across Europe. No, that is not the point. Why were packed formations an issue? As in, weren’t there packed formations before? My speculation is that the evolving prosperity of Japan, which was now taking place in a highly distributed manner with the collapse of proper central authority, systematically placed more and more armed men under the banners of various warlords. In other words, warlords were able to feed and retain more samurai than ever before. In addition, there was also the ashigaru (足軽、あしがる), literally light foot (light footmen). So, I believe that is why the issue came up; the bigger the battle, the more Japan’s constrained topography becomes an issue, and the simpler it is to smash a loose formation of swordsman with a tight formation of packed yari users. And so a tactic was born. In other words, it wasn’t an issue of cost… though I’m sure low cost did not escape the minds of yari advocates like Oda Nobunaga. However, it’s not the cost of a sword that’s the barrier here. It’s the cost of the man. When that became less of an issue, yari use soared. Now, ashigaru were not actually samurai. They first became established as what Europeans might call freebooters, and while I am no authority on this word, let us break it down for relevance: the “free” part, meaning you did not pay them salary; the “boot” part, meaning you did not assign a horse and they walked with the army; and “booty,” which was the only reward they would have for victory. At any rate, the more serious and less ritualistic the inter-clan rivalries became, the more ashigaru got involved. Yet these were part-timers who would go home to their farms and fields. After all, no salary – nor any retainer fee. Later – and this is where my speculation about economics and social development comes in – warlords were actually retaining ashigaru like samurai, and in so doing, made them permanent warriors of a new, bottom basement class. One might ask what then made them any different than samurai. Well, at this point samurai were a deeply entrenched permanent warrior class (but not caste). There was no desire to alienate them by treating ashigaru as their full equals. Thus, these militarized farmers became part of the increasingly heated and bitter wars of the age. Now, yari vary greatly, but the typical model used on the battlefield was absolutely meant to be wielded with two hands. European spears had heavy shaft tapering so that the tip would not make the weapon very tip-heavy at all. For “spears” rather than pikes, this made one-handed use viable; one could even use spears with shields in Greek or Roman fashion. This , however, made blunt hits with the head of the spear a rather bad idea. 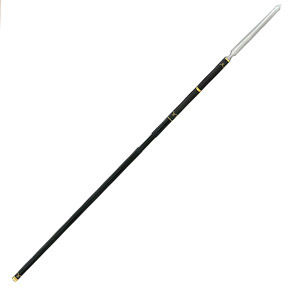 Yari include tapered shafts, but also include round shafts that are considerably beefier for swinging. Of course, this has the result of making the weapon tip-heavy, precisely what the Europeans were trying to avoid. Thus, this flexibility made the weapon harder to wield; not only was using two hands inevitable, but great skill would be required to be really good at it. It wasn’t just infantry. Samurai cavalry used yari for a rather simple reason: it had more reach than a sword. Yes, they could use bows too, but yari allowed shock tactics with European-like charges and were excellent first strike weapons against both infantry and cavalry. Why first strike? Well, take the katana. Thought exercise; which is easier to carry as a secondary, spare weapon: a spear, or a sword? High ranking nobles had their retainers who would have spare yari to use, but in a forward battle situation, a cavalryman was probably on his own with his spear, sword, and if all else fails, his tanto short sword (which, naming aside, was essentially a dagger). Now, what happens when a cavalryman with a yari dismounts, either willingly or unwillingly? As professional warriors, samurai felt as if they would be er, forgive the pun, shafted (^^;) by a lack of skill if they did not take using the yari on foot at least as seriously as ashigaru peasants. There are many reasons why a cavalryman might find himself on foot, just like European knights attempted it; human beings are smaller targets than horses, and horses can become living pincushions against archers in a pitiless age of war. So it wasn’t a theoretical situation. As a result, schools of soujutsu (倉術、そうじゅつ) arose to take lessons learned from the brutal fields of combat and formalize instruction for future warriors, giving them a fighting chance. In general, the more one-on-one the situation, the more personal skill was a factor in survival rather than the overall battlefield situation. One place you may consider is this school of martial arts. As usual, I’m not linking to people I know and they owe no favors to me. This entry was posted in Culture, Japan, video games and tagged Japan, samurai, sengoku jidai, spear, warriors, yari. Bookmark the permalink.